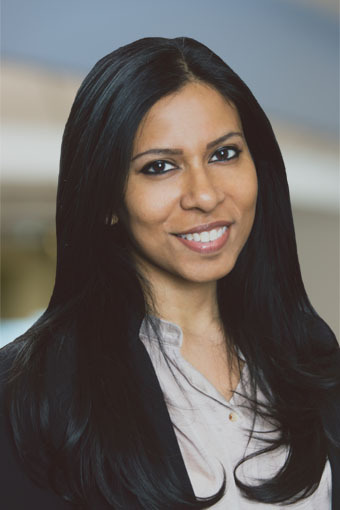 ARLINGTON, January 28 – Nathan is pleased to announce that Shamarukh Mohiuddin, a Principal Associate at Nathan Associates has been appointed to co-chair of the Corporate Role in Development Working Group at the Society for International Development – Washington (SID-W). To support SID-W’s mission of enabling a discussion on how to respond to the most pressing issues in global development, the working group brings together private sector players with aid agencies, NGOs and multilateral organizations. As one of the Co-Chairs, Mohiuddin designs these dialogues and discussions to help the SID-W community collaborate across sectors and learn from each other. Mohiuddin has deep expertise in harnessing the power of the private sector in social and economic development. Most recently, she served as the Director of Economic Empowerment at the U.S. Chamber of Commerce Foundation advising the global development and sustainability efforts of Fortune 500 companies. Her background also includes work in international trade policy, trade capacity building, and governance issues. At Nathan, she supports international development projects of the U.S. government, as well as partnerships with the private sector to deliver long term, sustainable solutions for developing countries. Nathan is an active and supportive member of SID-W. The organization brings together people from diverse organizations, disciplines, and career stages in a neutral, independent forum to discuss important issues in international development. In addition, Nathan’s President and CEO, Sue Chodakewitz serves on the Executive Committee of the SID-W Board of Directors.